How do dentists choose their own dentist? We wrote up some important facts based on our inside scoop on the dental industry. We've seen "behind the curtain" on other dental practices and know that not all are the same. 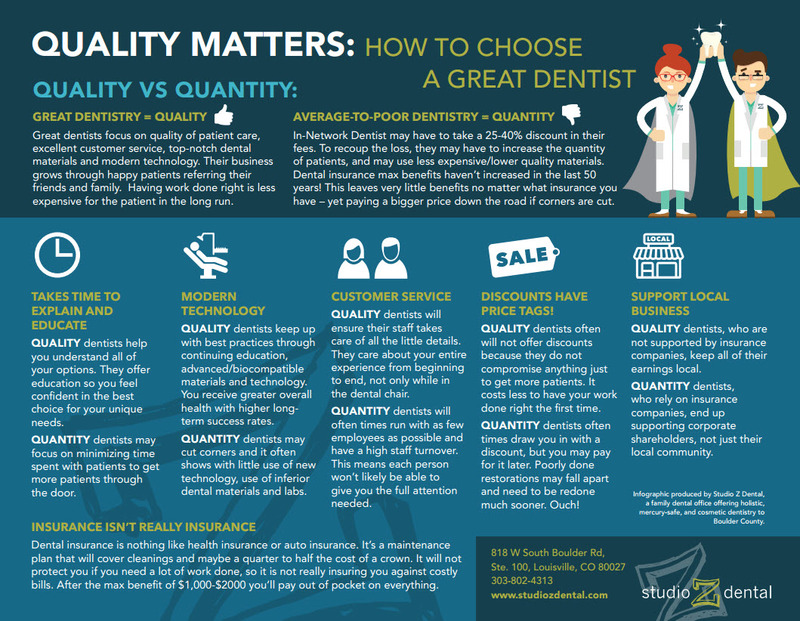 In fact, we see the poor quality materials and work some other dentists do for their patients. The biggest issue in sub-par dentistry is cheaper materials and rushed work. Both of these will contribute to problems down the road with repair, or replacement, of dental products that could have lasted decades longer. It all comes down to Quantity vs Quality. Some dentists focus on quantity of patients through the door to get the highest income for their clinic. We focus on quality because we want happy, healthy patients who refer their friends and family for our long-term success and good relationships in our community. We care and we are here to stay as part of your community. Read below for helpful information on how to choose a great dentist.